Home Health Radiation Therapy Vs Chemotherapy; What’s The Difference And Success Rates? Radiation Therapy Vs Chemotherapy; What’s The Difference And Success Rates? 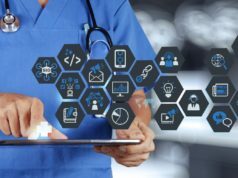 The development and advancement of technology has led to the discovery of more efficient methods of dealing with various life-threatening diseases, including cancer. However, even though today’s generation is well aware of cancer and is well acquainted with the precautions as well as its symptoms, it has still caused 46,880 deaths in Australia. Radiation therapy and chemotherapy are just 2 solutions to this one deadly disease. However, the decision of which one to use as your treatment method is made by your doctor. So, what exactly is the difference between the two when it comes to curing cancer? Chemotherapy involves the usage and administration of a high dosage of a drug that is used to treat cancer. This is because the high dosage quantity and intensity facilitates in the destruction of cancer-producing cells in the body. However, one should be aware that this is a blind drug; it hunts down cancer-producing cells as well as the healthy cells! Platelet Count: A reduced platelet count results in a slow skin healing process and frequent bleeding. White Blood Cell Count: These cells are responsible for protecting us from infections and diseases. A low white blood cell count results in the weakening of the immune system and heightened vulnerability to attacks from infections. Red Blood Count: These cells are responsible for circulating oxygen throughout your body. Having a lack of red blood cells will make a person feel tired and suffer from heart contractions and other sombre complexities. The Hair: Causing a condition known as alopecia, the strong chemo drugs cause the fragile hair cells to be damaged beyond repair, resulting in increased hair fall and breaking of one’s hair from the roots. It may also lead to partial or complete baldness. Stomach Cells: Once affected, these cells can cause digestion problems and lead to instances of diarrhoea and puking. As mentioned by Morgan G., Ward R., and Barton M. in their article titled, “The contribution of cytotoxic chemotherapy to 5-year survival in adult malignancies”, the overall effectiveness of chemotherapy in Australia stands at a meagre 2.3%. 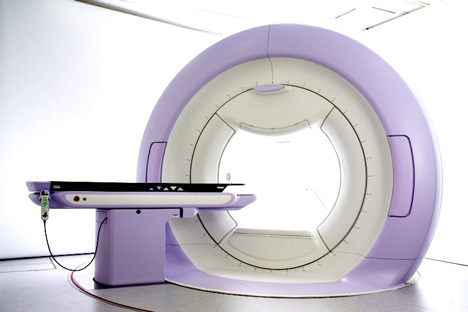 Radiation therapy is an x-ray-based treatment is which external beams target the cancer-affected area with high levels of domestic energy as prescribed by a radiotherapist. This is one of the few reasons why it has fewer side effects than chemotherapy. Usually, the side effects of radio therapy are directly linked with the concerned area, sparing other organs from being affected. More than this, radiation is also a very cost effective treatment. If the cancer is strong and needs to be monitored to prevent it from spreading. The success rate of radiation therapy is far greater than that of chemotherapy. This is because radiation therapy does not damage any internal organs, unlike chemo, which affects and kills any cells that it finds. This is why chemotherapy is more hazardous than effective and is never preferred, unless it is in combination with radiation therapy.